For Health, Wellness, and Fitness.....It's a mindset....: Bison? Tastes just like chicken! has more iron than beef, and less fat and cholesterol than chicken..
Those Chik-fil-A cows should be saying "EAT MORE BISON." so it's never given antibiotics or growth hormones. Contrary to popular belief a bison is not a buffalo. The main bison population exists primarly in North America. 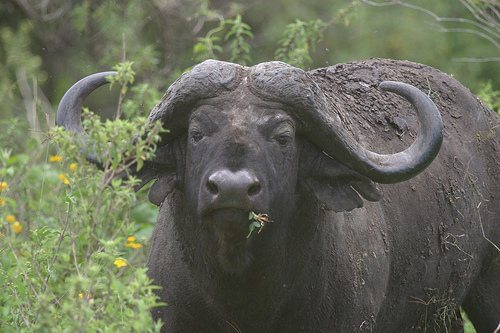 Whereas the two main Buffalo species reside in Africa and Asia, they are the African cape buffalo and the Asian water buffalo. ﻿﻿﻿﻿﻿﻿﻿﻿﻿﻿Bison are called "buffalo" casually because they resemble one another and are from the same family, but there are distinct differences as you can see in the pictures. The National Bison Association encourages the term "bison" to differentiate between what is considered the American Buffalo(bison) and the true Buffalo. 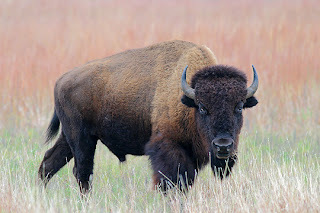 For more information about bison in America, how it is manufactured, nutrition, and how to prepare click on this link.